The year 2018 will be known as the year Canon and Nikon introduced their first mirrorless full-frame camera. It was their first step into a world that has been dominated by Sony for years. The cameras of Canon and Nikon have been mocked and laughed at, but how do they compare in real life? I got a chance to find out. 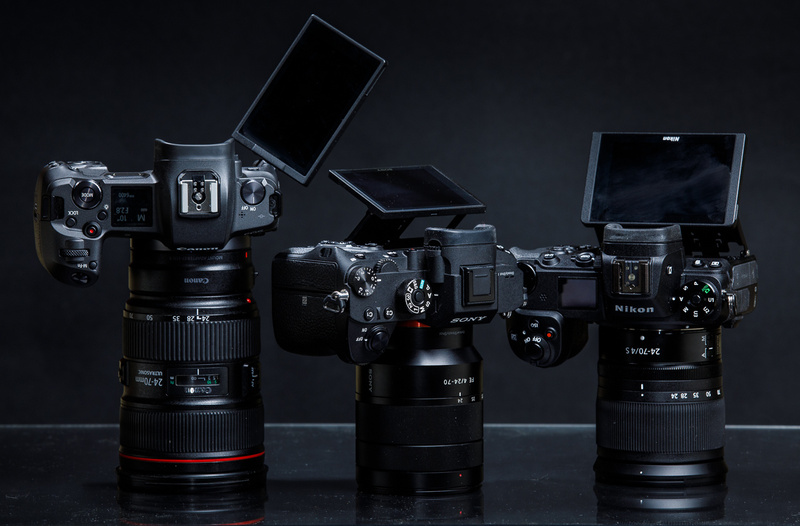 When I was reviewing the Canon EOS R I was asked to make a comparison with the brand new Nikon Z 7 and the Sony a7R III also. Soon after that I held three wonderful cameras in my hand and got a few weeks to get familiar with them, and shoot a lot of photos. I used the EOS R already for some time and found out how it felt to shoot a wedding with it, and I got a chance to do a love shoot with both the Z 7 and the a7R III. I also used these cameras for night and astronomy photography, and of course landscapes, which is also one of my passions. 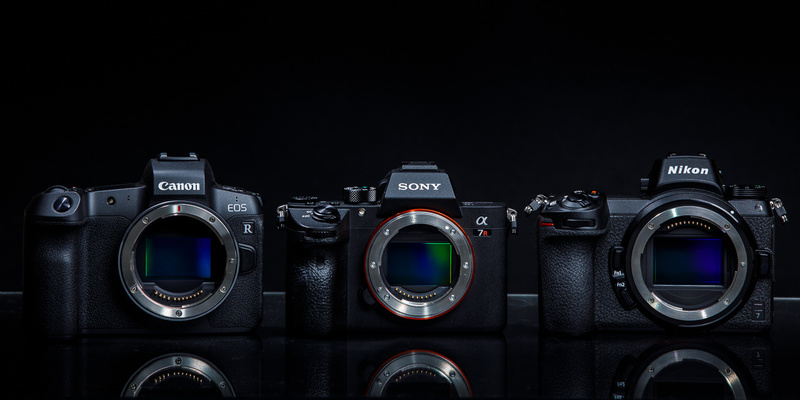 Three amazing cameras next to each other: the Canon EOS R, Sony a7R III, and Nikon Z 7. First of all I like to point out that I think a camera is just a tool. It allows me to take the photo I want. It has to work flawlessly and I have to be able to trust it. It must be easy to operate and handle. What I don’t find that important is sensor resolution. 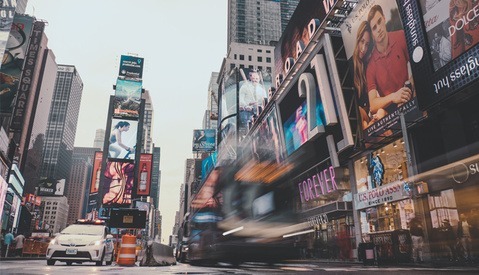 Most of the times a resolution of 16 megapixels is more than enough for all sorts of photography. Although more pixels allows you to crop a bit, or to correct a tilted horizon without losing too much resolution, it is just nice to have. These three cameras have more than enough resolution. Another thing that is not worth bothering is battery life. It does not really matter if you can shoot 100 or 200 photos more than the other camera. I shot more than 800 photos during the wedding with the EOS R and left with 29 percent battery life, while I took 100 shots only during a day of landscape photography with approximately the same juice left. The battery life of each of these cameras is good, as good as a mirrorless can be regarding the mandatory use of a digital screen. But I would always advise to have a spare on hand, or two, depending on your needs. The result after a day of wedding photography. The battery of the EOS R has a remaining 19% after 767 photos. For comparison, the EOS 5D Mark IV had a remaining 38% after 869 photos. As I already mentioned, I find handling of a camera the most important feature. If a camera doesn't handle well it can become a misery to use it. The only way this can be tested is in real life and not in a laboratory. My intention of this article is not to advise one or the other camera, but to tell how I experienced photographing with these beautiful tools. It might help to make a choice of your own if you are planning to buy one. But please keep in mind, what I find a drawback, someone else might find it to be an advantage. 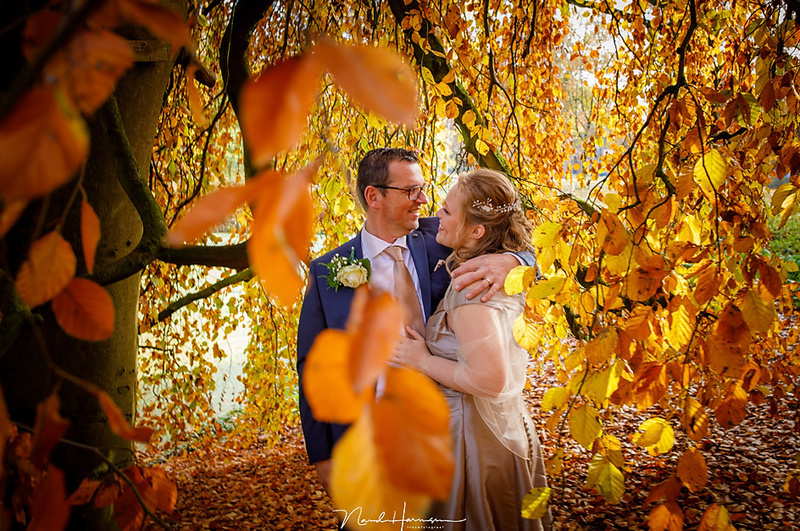 It all depends on your personal preferences and even the type of photography performed. Whatever the pros and cons of these cameras are, I could take the photo I wanted or needed regardless of it being a Sony, Canon, or Nikon. They all get the job done and the quality of the images are good regardless which camera you use. Due to the lack of a mirror and pentaprism, the mirrorless camera can be a lot smaller and thinner. That is what Sony has done. The a7R III is a really small camera, just like its predecessors. That has come with a price in that the body is so small that all buttons are close to each other. Nevertheless all the necessary buttons and wheels are there, just like that all-important joystick. Unfortunately, Sony did leave the top plate half empty and did not place that nice dial like on the a9. I do like the dedicated exposure compensation dial though, which I find one of the most important dials on any camera. The Sony is very small and its ergonomics are not the best around. For me the camera doesn't feel convenient. A grip could improve this, but it will make the camera a lot larger and heavier. The Canon EOS R is a much larger camera, but it’s still smaller than most DSLRs. The larger size gives more room for buttons and ergonomics, something the Sony does lack. Unfortunately, just like the Sony, the left side of the top plate is empty, except for a large power switch. The biggest innovation, if it can be called like that, is the introduction of the Touch Bar, which made a couple of big changes in button layout necessary. Thanks to that the placing of some buttons is not really convenient anymore. For me the Canon is perfect in size and the grip feels very convenient. The ergonomics make it easy to shoot with one hand. The Nikon Z 7 is also bigger than the Sony, but just like the EOS R it is still smaller than the average DSLR. 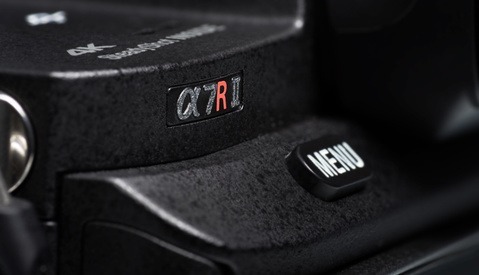 Fortunately, Nikon has made the decision to keep the button layout close to all its DSLR cameras, and thus the handling of the camera is very familiar to anyone who is used to a Nikon camera. The modest size of the camera gives enough room for all its buttons, and there is even room for two custom buttons between the lens and the grip. The ergonomics of the Nikon is very good, almost on par with the Canon and in some cases even better when it comes to button layout. The Nikon has a secure grip and feels very comfortable. Although all these cameras differ in sizes, it is surprising they all have almost the same weight. The Sony is 657 grams, the Canon 660 grams, and the Nikon weighs 675 grams, all with memory card and battery included. But you should always be aware that these cameras need the best of lenses, which have the same weight and size as the lenses made for DSLR cameras. I think the weight of a camera body should not be an argument to choose a mirrorless full-frame camera for that part. This part is in close connection with the button layout, camera size, and ergonomics. But the ease of use is also dependent of the size of your hands. Even the length of your fingers can influence how easily you can operate a camera. My hands are average, I think. Not particularly small nor large. I find the Sony too small for my hands. The grip isn’t that comfortable and I need to replace my hand to use some buttons or the dial on the back of the camera, otherwise I get cramped fingers. The buttons don't have a very good relief and sometimes it is hard to find the right button using only touch. I cursed the many times I pressed the dial on the back without intention when rotating it, activating a function I did not want to. With gloves it is nearly impossible to feel any button and I sometimes had to remove my eye from the viewfinder to see if I had my thumb on the right button. Due to the small body, I had difficulties reaching all of the buttons and dials. After a longer period of use my thumb got sore from reaching that dial on the back. I often needed to loosen my grip to reach one or two buttons. 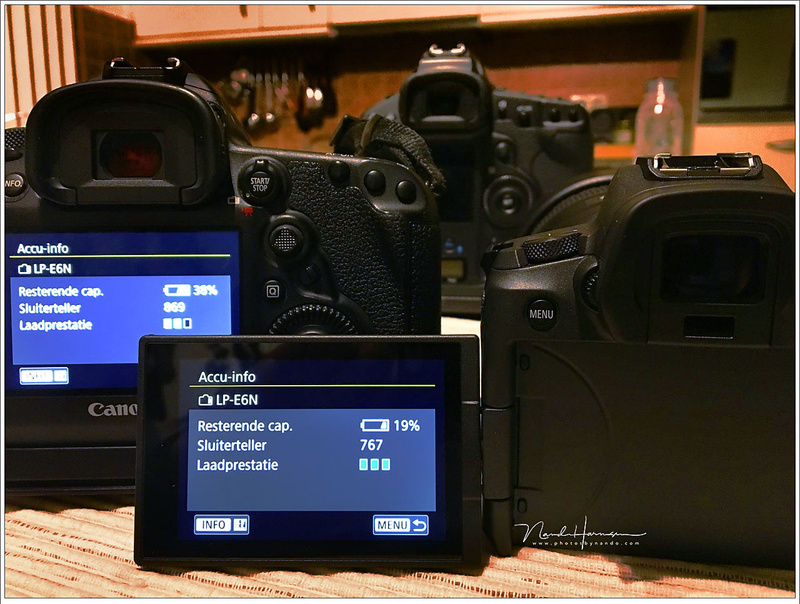 I love using my Canon DSLRs, and I find the button layout overall very well thought through. Except for the EOS R. I really think it is all because of the Touch Bar. It made the good button layout that is the characteristic Canon layout impossible. Another real downside is the sensitivity of that Touch Bar. When holding the camera in the normal position you automatically place your thumb on the Touch Bar, and thus activating it without intent. It is also too difficult to operate accurately. I would rather have this Touch Bar removed and replaced by the AF-On button and a decent operating wheel like the modern Canon DSLRs have. But the EOS R is not all that bad. The buttons that are present have a good feel to it and can be found very easily, even while wearing gloves. Except for the AF-On button, but that is because of its unusable position on the camera body. I noticed some issues due to the Touch Bar. Although most buttons can be reached quite easily, the AF-On button is now in a less obvious place. Also the thumb touches the Touch Bar way too easily, thus activating it unintentionally. I find the Nikon the best concerning ergonomics and handling. The grip is large enough, well-formed, and the buttons have a good feel to it; You know when you have one under your thumb. 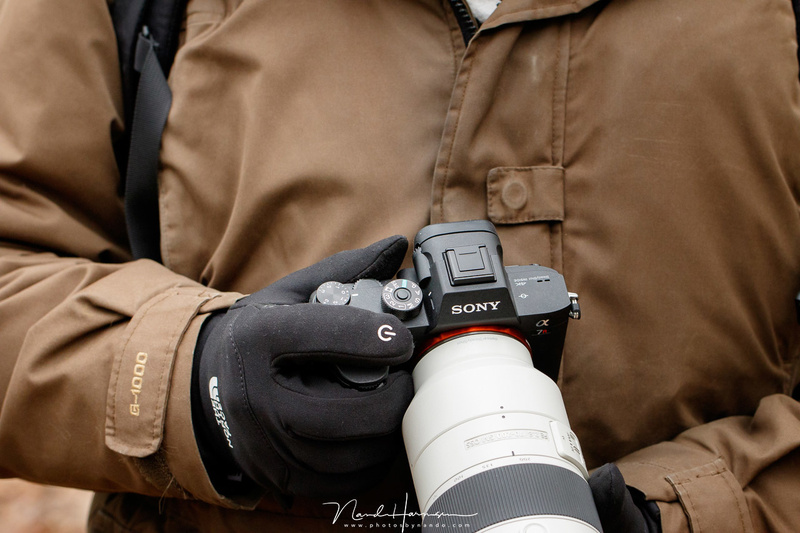 The camera can be operated with gloves without problem and all the buttons are in the right place. But it is too bad Nikon has not placed a double function dial on the camera, like their DSLRs. Now drive modes have to be activated by a button and on screen. I do really like the two custom buttons next to the lens mount and I really enjoyed using and operating this camera. The only downsides are the quality of the ISO and exposure compensation buttons. To my surprise I found the Nikon to be the best concerning dials, buttons, and the overal use. I really enjoyed using it. Simple as that. The menu structure has to be easy and well organized. You should find all functions quickly and it should be clear what it is for, without the need of scrutinizing the manual. I find the menu of Canon one of the best organized and most easy to use. It has menu tabs with multiple pages and you can switch between them very easily and quickly. There is a My Menu tab that can contain more than one page, and you can name every page to your liking. I find the menu of the Canon the best available. It is well designed, logical, and quick to operate. It is possible to operate it completely with the touchscreen. Nikon is less easy, with the need of scrolling through a lot of options before finding what you need. After some thought I think it is because of the vertical tab layout, which makes maneuvering through the menu less simple. But it also is a matter of getting used to. Nikon provides a My Menu where most used menu functions can be programed in. But if you place a lot of function in there, you end up scrolling again. The menu of the Nikon requires a lot of scrolling through its options. The menu is not bad, but it is less quick to operate. Fortunately Nikon has implemented the use of touchscreen when operating the menu. It is well known how cumbersome the menu of Sony is. You need to search a lot before finding the right menu option. Sony also has tabs but with way too many underlying pages that are not well grouped. It is difficult to scroll quickly between the different pages. Fortunately there is also a My Menu tab, but it is limited to only six options per page. You could program some of the menu functions into the quick menu, or assign one of the buttons to it, so you don’t have to use the menu that much. The Sony menu is difficult to use. It takes ages to go through all the underlying pages of the different tabs. It is not well designed and cumbersome to use. The menu can not be used with the touchscreen, which is unfortunate. The best way to learn the menu is to use it over and over again. That way you know where to find the most used options. And this way you learn to operate the camera. So no matter what camera you have, you will get used to the menu eventually. Some brands may take longer to learn, though. All three cameras have a screen that can be titled in some way or another. The Sony and Nikon can only be tilted up or down, and the Canon can move in all ways. I find the screen of the Nikon and Canon very crisp and bright. The screen of the Sony is opposite to that; it rather look dull. This shows the limitations of the LCD screens. The Nikon and Sony can only tilt, the Canon can move in any direction. 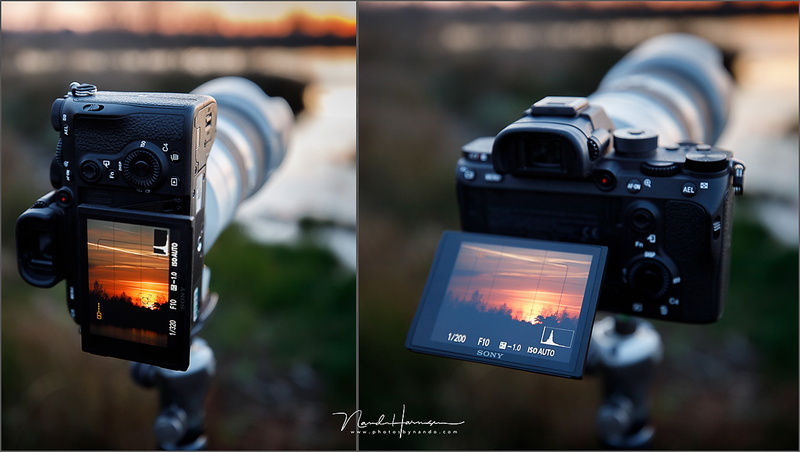 The touchscreen functionality is very well implemented in the Nikon and Canon. You can use it not only for placing the AF point, but also to operate the menu. Everything can be activated by touchscreen. The Canon has a small advantage with the possibility of swiping the AF point while looking through the viewfinder. Both Nikon as Canon have a very responsive touchscreen that is a pleasure to use. Strangely, the Sony has only a rudimentary touchscreen which renders it almost useless. You cannot use it for operating the menu, and the only practical use is swiping the AF point, fortunately also while looking through the viewfinder. But the touchscreen is not that responsive and the AF point was following my thumb with a significant lag. A tilted screen is very convenient when working in landscape orientation. But when switching to portrait orientation you won't have much use of a tilted screen anymore. I find the EVF of the Sony is the worst of all modern mirrorless cameras I have seen (and I have seen quite a lot). It is perfectly usable, but it is not like looking through an optical viewfinder. The Canon and Nikon are much better, and I find the Canon almost as good as the best I have seen, which can be found on the Leica SL. I haven’t really looked into this and can only tell you what I experienced. I found these cameras to perform very well. The Canon has quick autofocus and doesn't need much light. The Sony has an amazing Eye AF and face recognition that almost always focuses spot on. The Nikon focuses quickly and accurately, but has some difficulties with tracking moving objects. I find none of these cameras suitable for real action photography, no matter how many frames per second they can shoot. 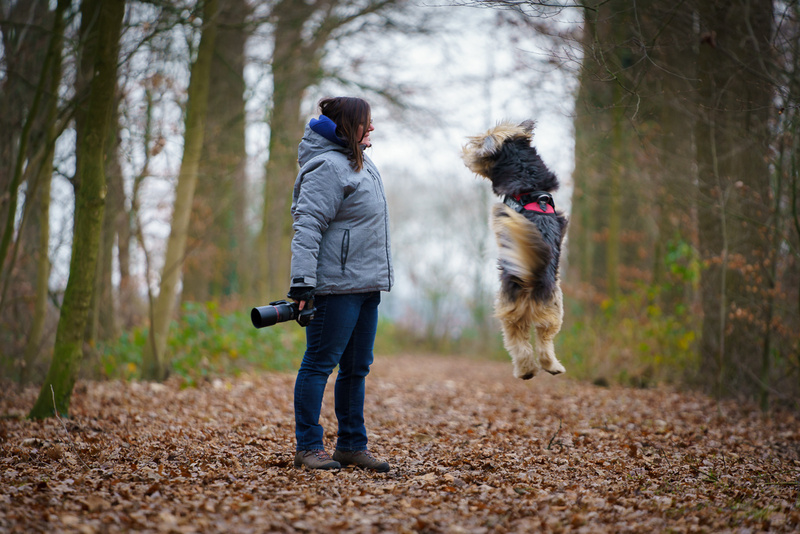 The Sony has a big disadvantage with action photography. Its buffer may be large, but it takes ages to write the images to its memory card. And be aware, when the Sony is writing, many menu functions cannot be used or adjusted. You have to wait until all those frames are out of the buffer and onto the memory card. How I experienced the use in practice can be deducted from the things I already said. There is no clear winner is this. But then again, it is not a contest. All three of these cameras have their strengths and their weaknesses. I like the handling of the Nikon and I dislike the Sony. The Canon feels good in my hand but I don’t like the Touch Bar. The menu of the Sony is a disaster but it is usable when most used functions are programed into the quick menu. Still, the customization of the Nikon is similar to the Sony and the menu is much easier to use. Canon wins concerning the menu, and I love the feel of the buttons on the Nikon. The Canon also has the best screen and EVF, closely followed by the Nikon. Sony lost on quality of the LCD screen and EVF, but when it comes to autofocus, I think the Sony wins over both Nikon and Canon. I did this comparison during wintertime and I needed to wear gloves regularly. Operating the Sony with gloves imposed a real challenge when finding and using buttons. 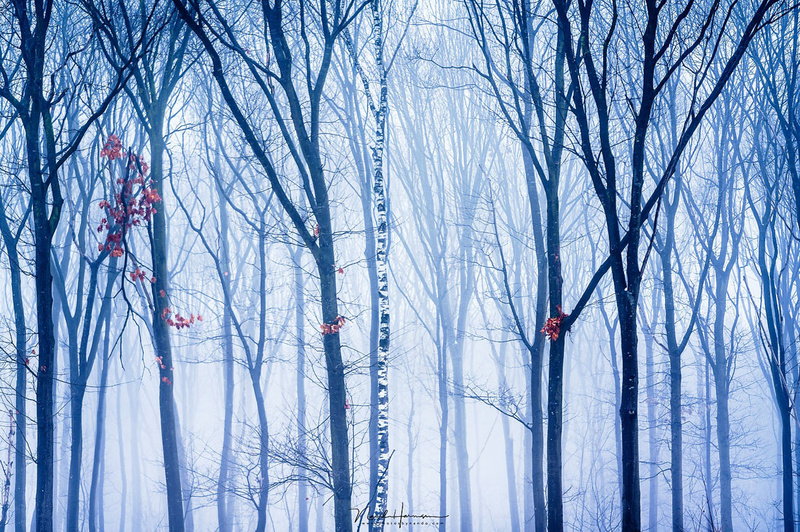 What about the results and the dynamic range? Well, I think all of these cameras perform very well and the photos are full of detail and full of rich colors. I shoot raw and don’t look at the JPEG produced by these cameras, so any color that could be related to one brand is non existing for me. You can get any color you like in post. Also the dynamic range is very good with each of these cameras. It is easy to lighten up an underexposed image with at least three stops. But when you are in search for the limit, the Sony clearly wins. Three photos of the same scene with the three different cameras. These are the untouched raw files as seen in Lightroom. 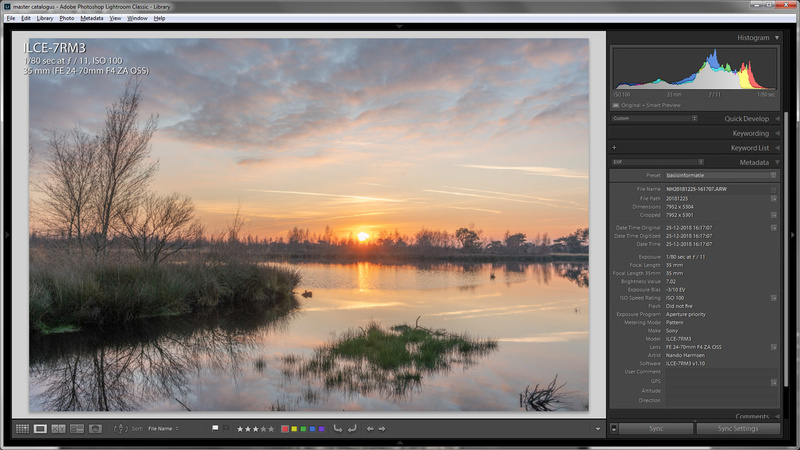 The result of what is possible using extreme post-processing with the EOS R.
The result of what is possible using extreme post-processing with the Z 7. 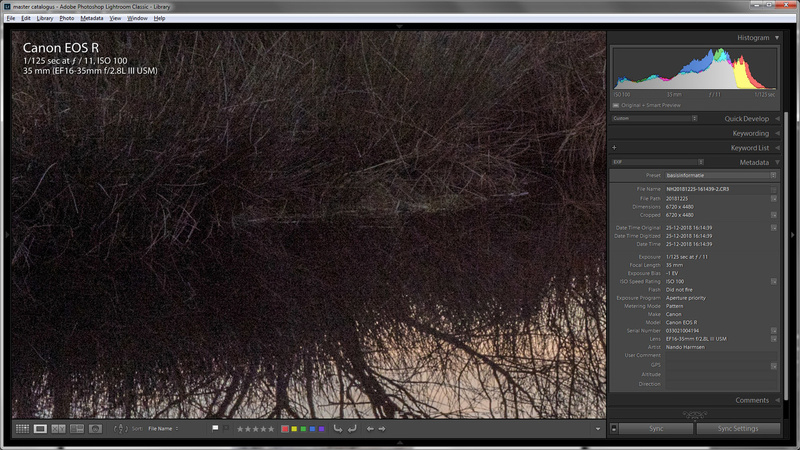 The only difference in settings is the color balance to match it as much as possible . The result of what is possible using extreme post-processing with the a7R III. Again, the only difference in settings is the color balance to match it as much as possible with the other two. When checking how the darkest part of the image looks like, you can see how much loss in quality there is. This is how the EOS R ended up. This is how darkest part of the image made with the Z 7 looks like. You can see there is not much difference with the EOS R.
With the Sony the darkest part of the image after correction clearly shows the best result. It is a reasonably clean result. These three images of a sunset show the limit of what I find possible. All of these extreme processed images are acceptable, but the Sony produces the best result. But even with the Sony the image shows a large degradation in quality. 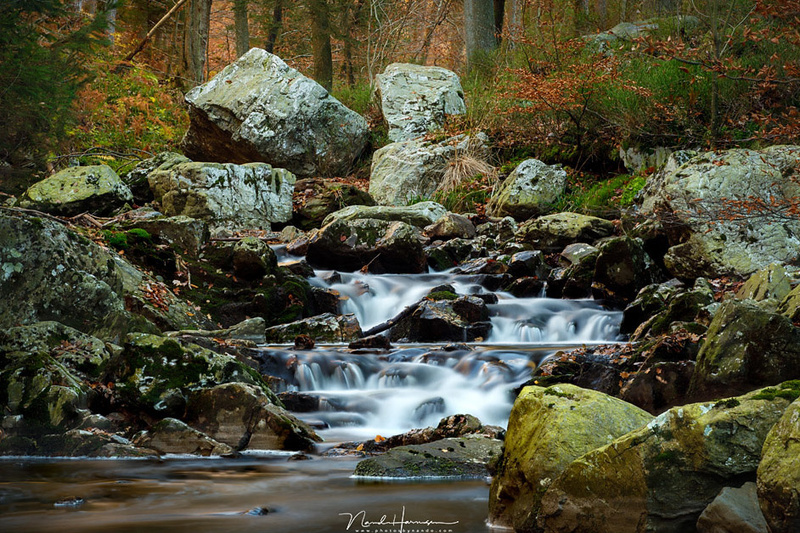 In these situation you would be better off with a gradient neutral density filter, or with a bracketing, or with both, as shown in the example below. But if you shoot under conditions that would not allow filters or bracketing, like during weddings, you can benefit from the possibilities these cameras have, with Sony as the one that goes the furthest in recovering shadows. 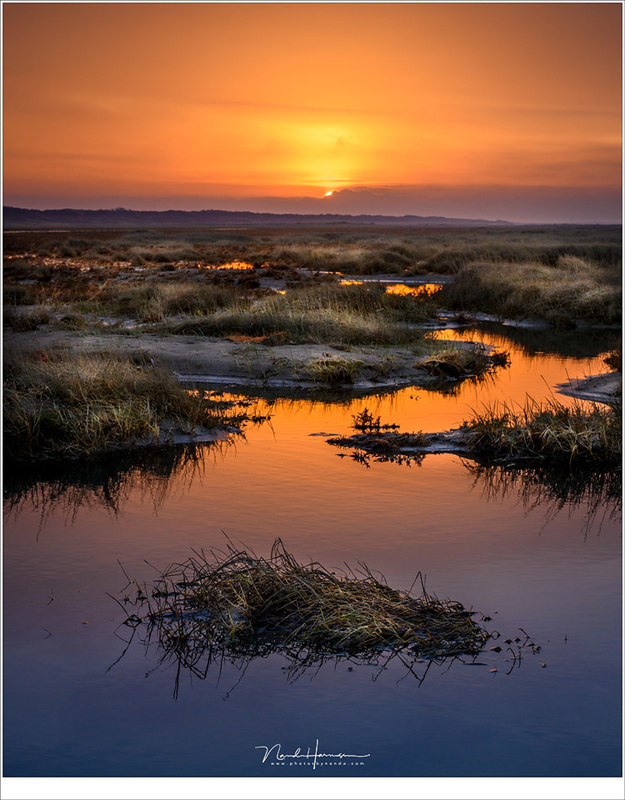 Even with the clean results that the Sony produces after an extreme correction of the darkest parts of the image, a much better result can be achieved when using bracketing. 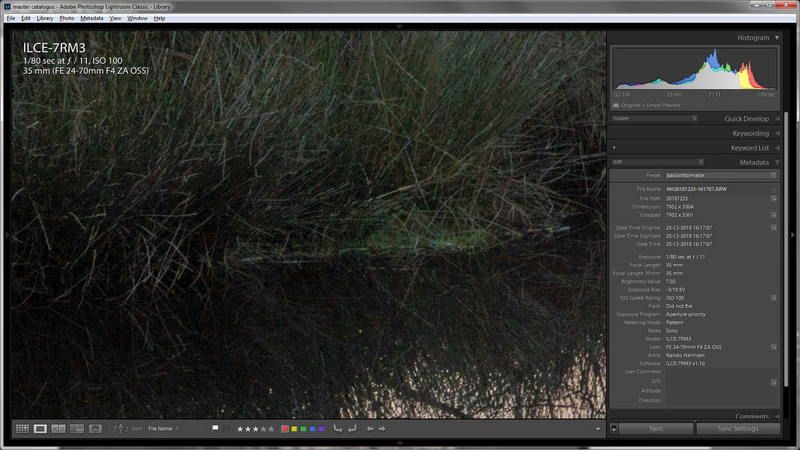 Also filters can help reducing the dynamic range thus preventing such an extreme correction. 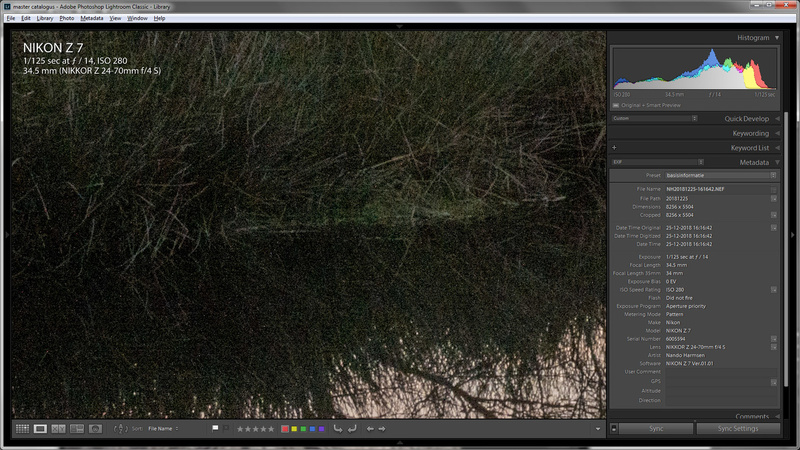 Left is HDR, right is without. One last complaint and compliment. My complaint for Canon and Nikon is the lack of a double card slot. I did shoot a wedding with the EOS R, and all went well, but I felt not happy having no backup on the spot. I would like to compliment Sony on having two card slots. I am not going to mention all the likes and dislikes of these cameras. I'll limit myself to what I find to be the most important things. If you are in search of a mirrorless camera, perhaps my findings can help you make the best choice for you. 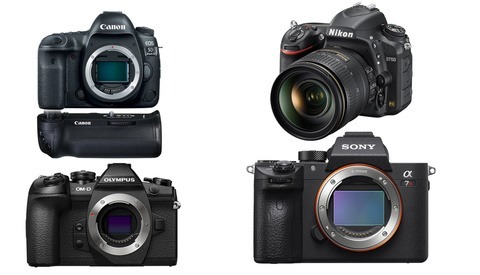 Which of these cameras would you prefer and why? I'd love to see your answer in the comments below. In your “dynamic range test” you shot the Nikon at ISO 280, you need to be shooting at ISO 64 to accurately compare these cameras! 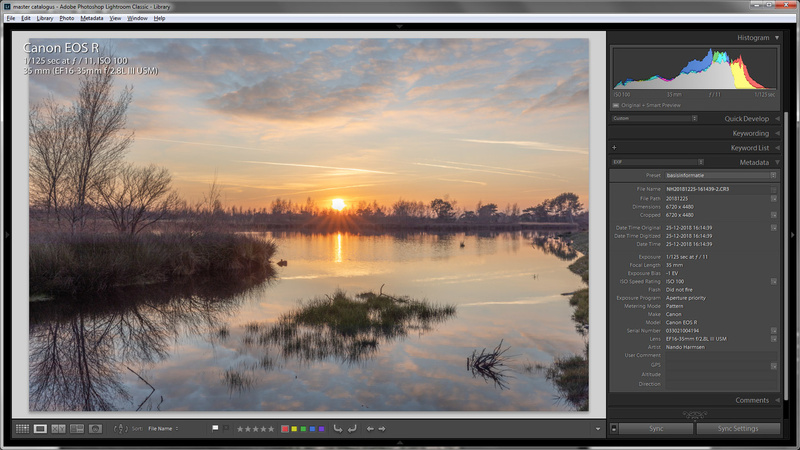 Nikon has had sensors with the dynamic range of the A7R3 since 2012, on paper at least. I disagree, if the intention is to assess which camera has the best dynamic range then the cameras should be tested at their base ISO’s where dynamic range performance is optimized, regardless of what the ISO is actually numbered. This sounds like a laboratory test, with all settings within controlled boundaries. I used the cameras like every photographer would have used it in the field, with a setting sun and changing light situaties. 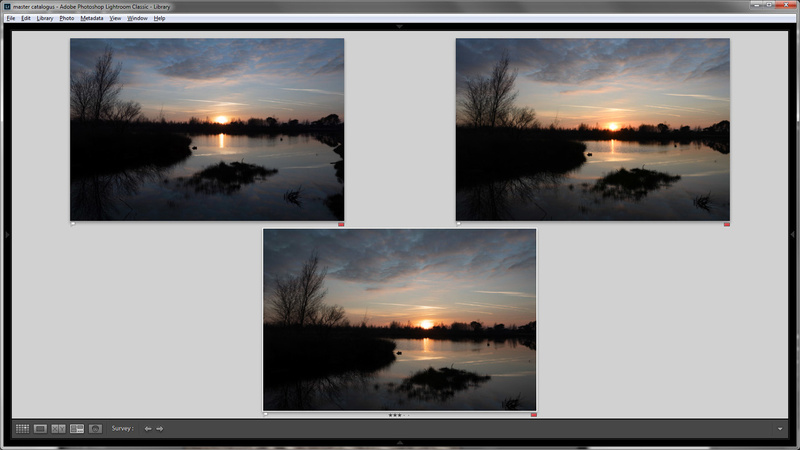 I exaggerated the post processing a bit, but is is also not exact the same with the images from these cameras. So how "correct" you would make the settings compared to each other, it would probably be neutralized in the post processing. 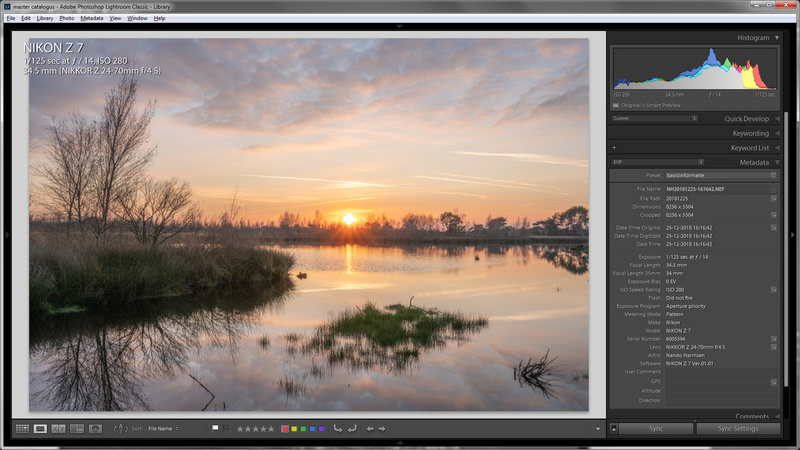 Fair enough, but that is almost one step difference (64 vs 280) in dynamic range for Z7 ... And one step higher than EOS R. Demonstrated on landscape photo wheree on tripod you'd keep the base ISO it will make difference. That is a great point John. At the very least the publisher Nando should edit his statement "All of these extreme processed images are acceptable, but the Sony produces the best result" for all the people who don't read the comments and might get mislead thinking that the test was all cameras operating at their optimal settings. I came to the page looking for a fair comparison and almost got misled until I read the comments. While both Canon and Sony are at f/11, Nikon is at f/14. Why? What real-world reason you have to keep these different. 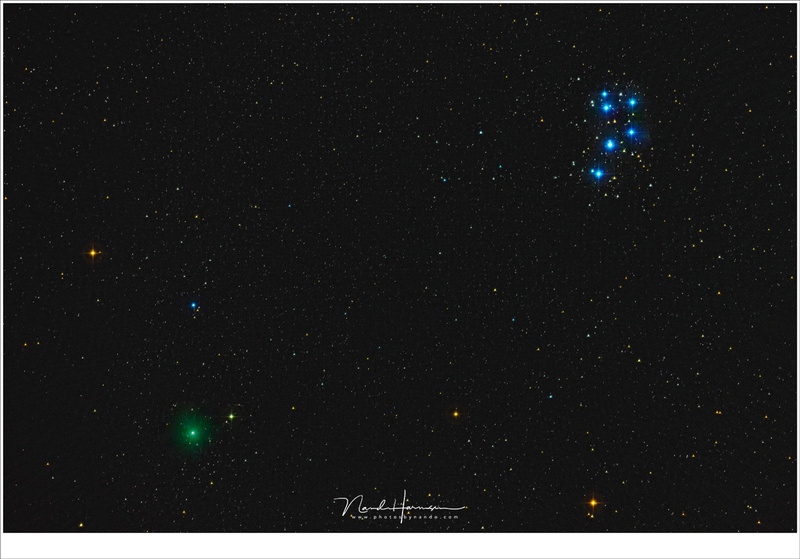 Going above f/11 robs the camera of sharpness (due to diffraction), and in this case forced increased in ISO. You might have been justified if you kept the ISO on Nikon to 100, instead of 64. But why f/14 and 280? This voids any claims you make about Nikon. This is accurate - according to photonstophotos.net the EOS R and Z7 have nearly identical DR at ISO ~250, so the result shouldn't be surprising that the output is comparable in this test. If anything, on paper the R should be slightly ahead at ISO 100 vs the Z7 at 280. I’m not sure you’re following me. Why would you do a dynamic range test of the eos R at base ISO (100) vs the Nikon Z7 at 280 (Nikon’s base ISO is 64). Sure their performance may be similar here but the Nikon is stopped down nearly two full stops. What does that prove? 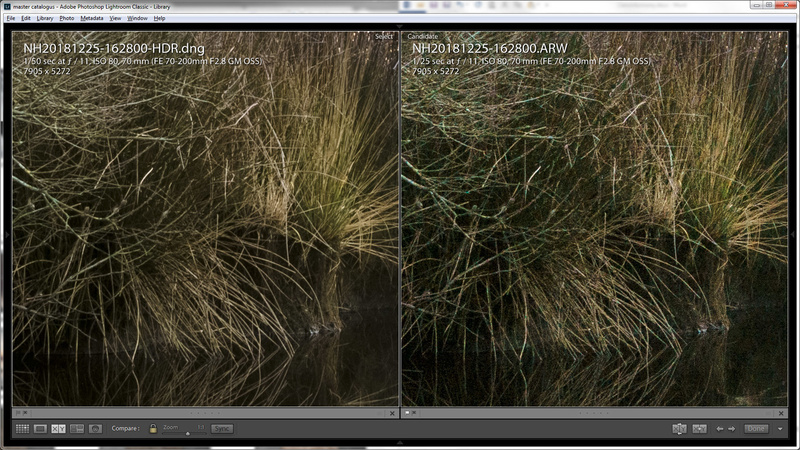 Even photons to photos agrees that at Base ISO the Sony and Nikon have nearly identical PDR’s. I understand your point, but I don't think I was sufficiently clear - I was agreeing with you. The "this is accurate" in my previous comment was referring to your comment. My point was that the test should be expected to have a comparable result between the Z7 and R because it is comparing different ISOs which are known to have comparable DR for those two cameras. I should have added that if the test was intended to compare maximum DR on both cameras, it should be done at the lowest non-extended ISO setting available. Sorry for any confusion, I completely agree with you! This is a great comparison and similar to what we've experienced. I would just also consider native and adapted lens selection. Sony's E-mount is the oldest, so they have the most native lenses. If you're a Canon or Nikon shooter and you already have lenses, being able to adapt those lenses is a big deal, and you might be happier with the native mirrorless camera even if it focuses slower, just so you don't have to sell all your gear. Canon launched with some really cool high-end mirrorless lenses, while Nikon's current Z-mount lenses are lower end. 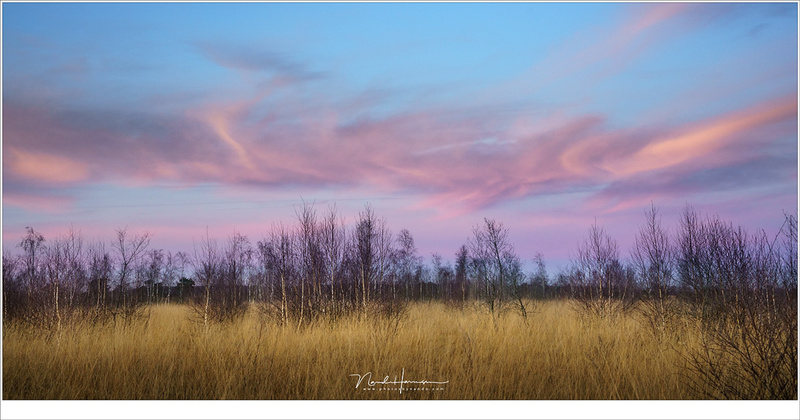 The fact that he shot the Nikon at ISO 280 for the dynamic range test doesn’t bother you? I shot the Nikon and Sony with native lenses. I had only EF lenses available for the Canon. Selling or not selling lenses when choosing for one of these (or other camera brands for that matter) can certainly be a big like or dislike. I think Sony has the biggest plus since it accepts also Nikon and Canon lenses with the right adapter. Nikon lenses are less expansive but I would hardly call em lower end, the quality of those prime is fantastic, definitely way better than the F mount f/1.4 lenses especially in aberration control. Having never extensively used any of these cameras it appears as though while Sony has currently advanced to the best camera, it is among their 3-4th generation of full frame mirroless (depending on how you count the a7s a7 line in development) where as This is Canon and Nikons first swing. To be perfectly honest I think this is remarkable they have gotten this close to Sony. The next release of the Nikon and Canon should clear up the single card catastrophe as well as (hopefully) Canons ridiculous touch dial. That with a handful of more pro lenses and I doubt Sony will have any sort of advantage anymore. As far as dynamic range that scene needs dark areas, the shadowed brush having that much luminance is unappealing to me. I don't buy that first gen crap. Technology is there they just needed to put that stuff in the camera. They need to make money to be in business. You are correct... lighten up dark areas that much is not realistic, but I wanted to push it a bit. But I think the whole story about first generation for Canon and Nikon is a bit foolish. You are talking about sensors, and both Canon and NIkon use full frame sensors for many many years. Mirrorless is just the box with dials and switches. It is more about the implementation of AF techniques and so forth. And then again, both Canon and NIkon have experience with mirrorless... with smaller size sensors. Nevertheless... I think Canon and Nikon could have made their cameras much much smarter, better, faster. But starting with the best of the best is commercially not the smartest thing. Now people buy these camera's, and next year they buy the second, better version... the mark II, and after that the mark III. Simple as that. Yet Sony despite the multiple bodies and iterations still have UX/UI compared to Canon/Nikon. The current Canon from all accounts is their mid-range mirrorless camera, and they are experimenting with new ideas and concepts. You don't get anywhere without trying something new, and moving to a new body is a great opportunity to see what shakes out. Sure Tech is the same, but we're not talking just about the tech but also a new ideology in many ways that's been shaped by Sony and Fuji. People complained about all the dials on the X-Pro 2 (and still do) yet it's still a great system for working with once you're used to it and arguably it's one of the best USPs of Fuji cameras is their retro looks and dials. I find it interesting that Canon gambled on this with their first body, and all the more so, to see what they will produce when they flesh the body line up. Indeed... if you never try something else, you never evolve, you never get better. It is sad to hear so much negativity when manufacturers experiment, that you almost forget about the strengths. It feels like a negative spiral; eventually nothing is good enough anymore. Sony has the best camera in terms of continuous autofocus. Period. It doesn't fare so well in terms of ergonomics, and weatherproofing, and menus, and focus stacking, and phone remote control, and intervalometer. 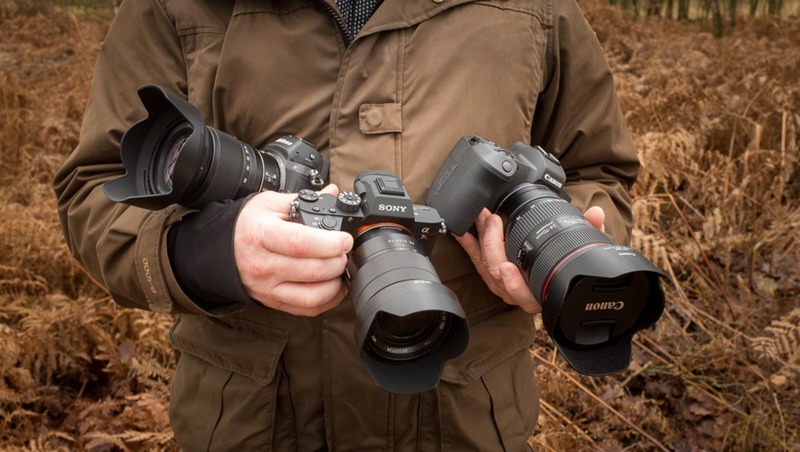 Sony has the most native lenses, but both the others have almost seamless adaptors that open up a huge range of compatible lenses. The reviews of the Canon and Nikon lenses show that the new and wider lens mount allows them to get better edge sharpness without making huge and complex lenses. Which is best depends on what functions you personally find important. I'm surprised you didn't comment on in body stabilization. I was on the fence between the Sony and Nikon and went Nikon simply because I could continue to use my old lens rather than take a big loss having to replace all of my glass. True. I mentioned it in the likes and dislikes, but it is not a deal breaker for me. IBIS may make it possible to shoot at slower shuttertimes but the movements of bride and groom won't allow it. Nevertheless... for those who are filming a lot it can be very important indeed. Because it is overrated, I switched from A7Riii to X-T3 which comes without IBIS and I have not bothered by it. I respectfully disagree. I've been a photographer for 30 years. Obviously, my early cameras and lens had no stabilization. Then, when it started to appear in lens, I tried it, liked it, and it became a important consideration whenever I was shopping for lens. Now that I have a Z7, I can tell the difference in using lens like my 17-35 that had no stabilization on my D810. It doesn't perform miracles but it certainly works and now that I've had it, I won't go back to a camera without it. That is partly because A7R III IBIS is not very effective. It is about 2-3 stops depending on how you shoot (I have been using it now for over a year). Nikon IBIS is in another league.